One dress, 16 possibilities. 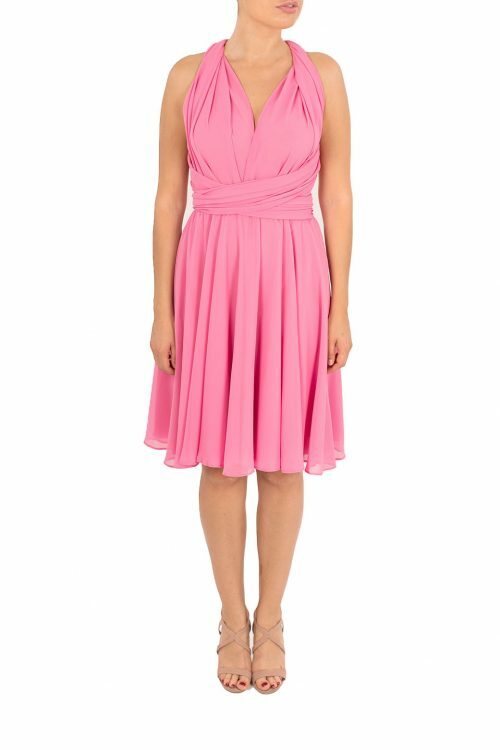 This short chiffon dress in pink can be worn in a multitude of ways— Strapless, Backless, Off the Shoulder, Cap Sleeves and more! This will equally work for black tie parties as well as summer garden soirees. Also perfect for dressing bridesmaids who can come in different shapes and sizes. Pick a colour or go for contrasting tones and let each pick the style most flattering to their shape. The versatility of this style also means that this is the bridesmaid dress that will get worn again.